***This is a made to order product with a 9-11 week lead time. 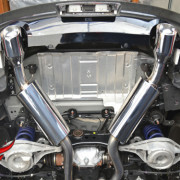 The Fast Intentions catback exhaust system is the premier upgrade for all G37 owners looking to maximize the performance from their VQ37VHR V6 engine. 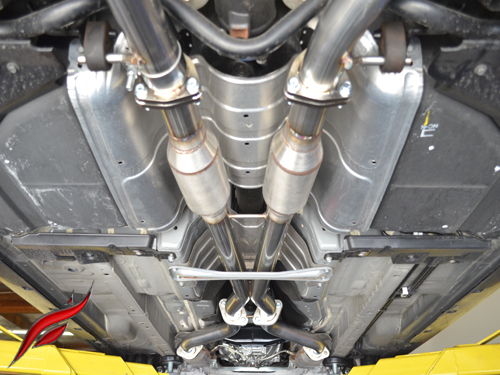 The exhaust system will enhance the sound that Infiniti created from the factory by making it deeper, smoother, and louder. 2.5″ T-304 mandrel bent stainless steel tubing. 6″ x 14″ round stainless steel perforated core mufflers. 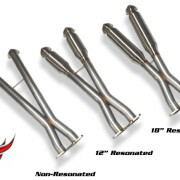 4.5″ resonated dual walled slash cut polished stainless steel exhaust tips. 3/8″ thick mild steel flanges. All flanges are bright nickel plated to eliminate potential corrosion. 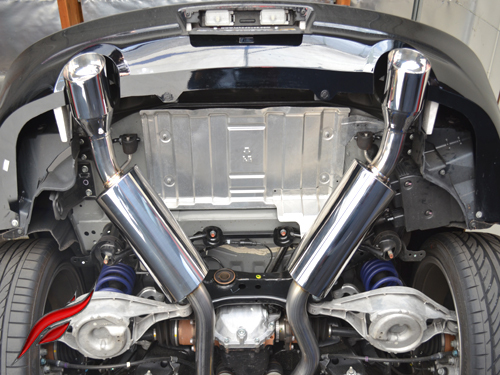 All flanges are welded on the inside, sanded down and port-n-polished for a smooth exhaust flow. 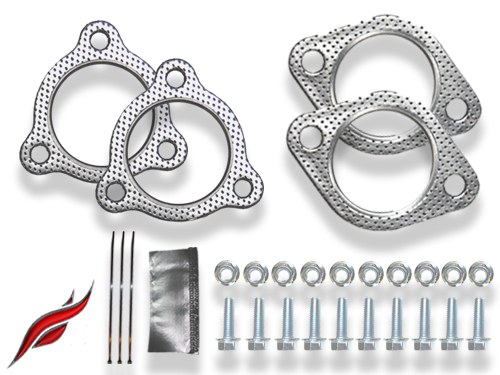 This process greatly reduces exhaust turbulence at the flange connection points. 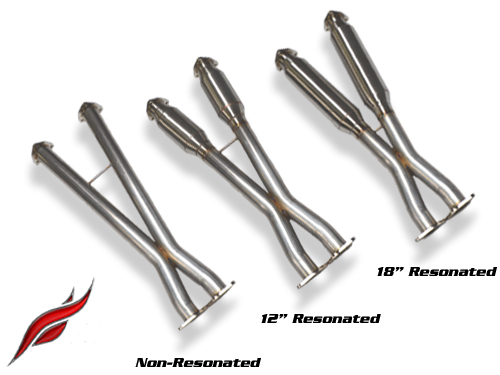 Non resonated, 12″ or 18″ stainless steel perforated core resonators within the X Pipe. Resonators reduce interior noise without affecting performance. 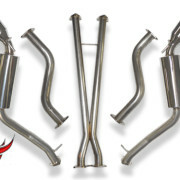 Limited 3 year warranty on all welds, craftsmanship, mufflers and tips. Application Specific: 2008-2013 Infiniti G37 Coupe / 2014+ Infiniti Q60 Coupe. Compatible on Left and Right Hand Drive vehicles. Not compatible on G37 / Q60 Convertible. 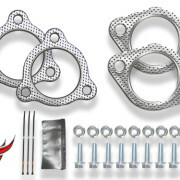 Gaskets, hardware and installation instructions are included. 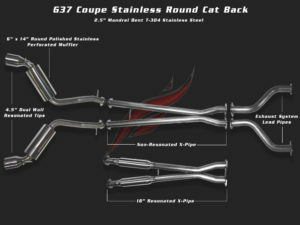 An increased average of 15 rear wheel horsepower & 10 foot pounds of torque over the factory exhaust. 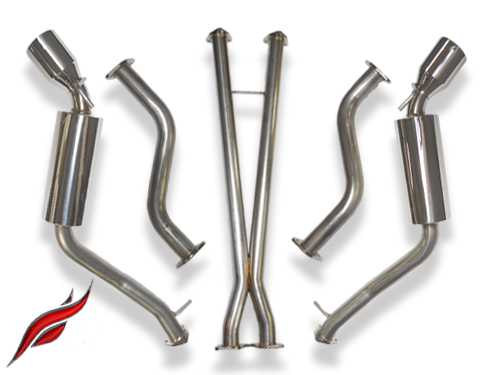 Refining the factory exhaust note by increasing depth and volume. Reduction in EGT’s (Exhaust Gas Temperature) by freeing up back pressure. 47 lbs. 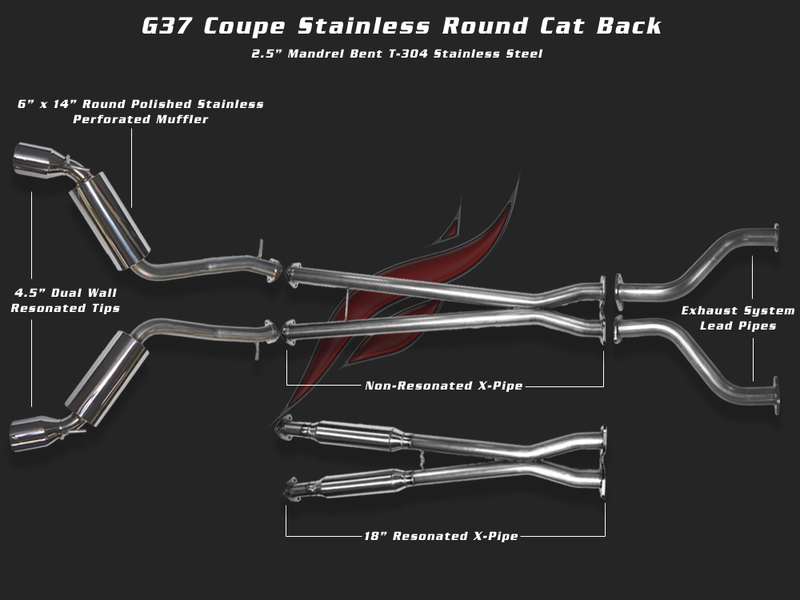 w/ stainless steel mufflers; 16 lbs. lighters than factory exhaust. This product is hand built (in house) to order with a standard lead time of 8-12 weeks. Once your order is placed, you will receive an invoice with your estimated shipping date. Note: The lead time may fluctuate less than 8 or greater than 12 weeks based on order volume. California customers are subject to sales tax.